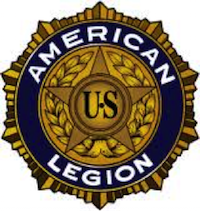 The American Legion Post 227 in Shoreline will hold their monthly meeting on Tuesday evening, June 5, 2018. The public is invited to come at 6:00pm to hear our invited speaker. The meeting will be held at Post 227, located at 14521 17th Ave NE, Shoreline, 98155. The Post is directly behind the Shoreline Goodwill Store located at 15th Avenue NE and NE 145th Street. Dave Wellman, docent at the Museum of Flight, will discuss Project Welcome Home concerning the B52 Bomber. Dave was an ROTC cadet at Purdue University, graduated with a BSEE and worked at Chrysler before entering the USAF for pilot training. He served in Vietnam as a B52 Commander before mustering out to work for Boeing as an aircraft avionics and missile test engineer. After Dave’s talk, District 11 Commander Carrol Stripling will install the incoming officers of Post 227 and of the Post Auxiliary. Officers are requested to wear Class A uniforms for the occasion. Members of the public will be free to depart after the invited speaker finishes if they do not wish to stay for the officer installation ceremonies. A light meal of fried chicken, salad and sides will be served to all Legion Members after the officers are installed.